Coogee Physio | Supporting the local community. We are very proud to be part of our local community and support local businesses and clubs. We are a community orientated, family friendly practise. We cater to a wide range of patients, including babies, the elderly, elite sports people to weekend warriors and everyone else in-between. The Minhi’s Netball Club is a newly formed netball club. They are a local group of Indigenous ladies who enjoy playing netball. With 11 years’ experience in netball between us, we are a newly founded memorial netball team of sisters, friends and family branching together from the local Eastern Suburbs Community to honour everyone that has lost someone close to them. The club is founded by two sisters Emilie and Sallie-Ann Barker. Their original idea was to make a memorial club in honour of their father who passed away in 2000 and their two uncles who passed away in 2017 and 2018. We are a supportive, hardworking, dedicative group of ladies who aim for the best. Thanks to Coogee Physio we are able to provide the best netball gear and equipment for our players to have an enjoyable netball season. Coogee United FC was formed back in the early 70s and was once referred to as Liverpool of the Eastern Suburbs, as they won virtually every Competition entered. Those days continue at the club and with the ongoing improvement in facilities and coaches, and a terrific culture it’s certainly the most admired club in the east. Whilst having a great Australian contingent, the club acts as a family away from home for many expats in the Eastern Suburbs and is proud of the culture off the park with many social events. Coogee United have led the Easter Suburbs Football Association on the success front too with numerous league and Grand Final wins across all grades over recent years. The most celebrated achievement of the club was to be crowned NSW Champion of Champions in 2015, the ultimate trophy in amateur football. The club continues to grow with the support of its sponsors including the great partnership with Coogee Physiotherapy. 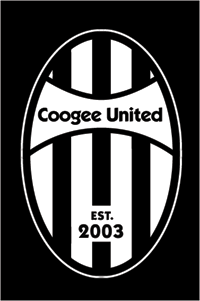 Coogee Physio have been proud supporters of Coogee United for 10+ years. Live 2 Be Well’s Exercise Physiologists are a highly experienced team. They are accredited through the Exercise Science and Sport Association Australia, WorkCover NSW and are Department of Veteran Affair registered. They are based in Randwick but all their consultants are mobile and can travel to clients if required. 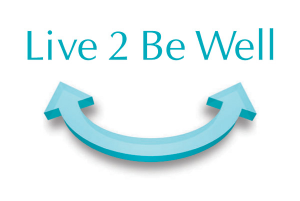 Live 2 Be Well are passionate about providing the best care using the most up to date best practice methods to assist clients maximize and achieve their health, fitness and rehabilitation goals. Zak Sztor was born in Edinburgh, Scotland and has always had a keen interest in exercise and challenging himself through fitness. Underlying that has also been his passion for food, not only in eating it, but in the process of preparing and sharing it with others. Zak has been a qualified personal trainer since 2005 and has worked all across Sydney, with great success. It didn’t take long for Zak to determine that many of my clients struggled to lose weight, no matter how hard they trained. In 2010 he began an Advanced Diploma in Nutrition Medicine at the Nature Care College in NSW. He is now registered with the Australia Traditional Medicine Society as a qualified Nutritionist.